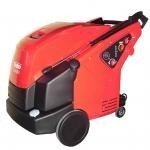 For cleaning of Small Workshops, Vehicles, Agricultural & Construction Industries. The HP2140H, HP4160H, HP4180H and HP4175H offer water plus high pressure in the fight against dirt and grime. It’s time to preserve physical assests and quality. It’s time to use perfected technology.